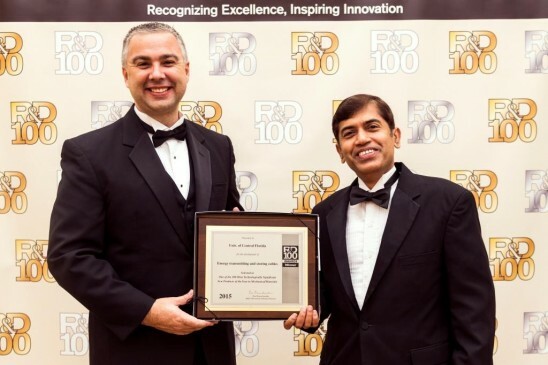 R&D Magazine recognized UCF and Jayan Thomas for America's “Oscars of Invention” award, the prestigious R&D 100 Awards have a 50+ year history of honoring excellence in technology innovations. The award, which identifies and celebrates the top technology products of the year, highlighted the work of UCF associate professor Thomas, NanoScience Technology Center, CREOL and the College of Engineering and Computer Science, for his development of energy transmitting and storing copper wire, reported by UCF edu. An Inspiration for the technology came to Thomas more than a year ago when he discovered some stray cables lying about while on a walk one evening. He had taken a stroll to ponder the subject of energy storage and in a burst of inspiration, a novel thought occurred to him- Cables transmit energy, but why can’t they also store it? The magazine chooses 100 inventions that made it to the headlines in the last year. The magazine honoured Thomas for his innovative research into electrical cables that can store and transmit energy. Two-minute video from Inside Science TV illustrating this groundbreaking technology. “Thomas and his researchers, including UCF graduate student Zenan Yu, focused on the core of the copper wire. They found that growing billions of nanowhiskers on the surface of the core, multiplies the total area and turns the wire into a dual-purpose (transmitting and storing) cable,” University of Central Florida website said. 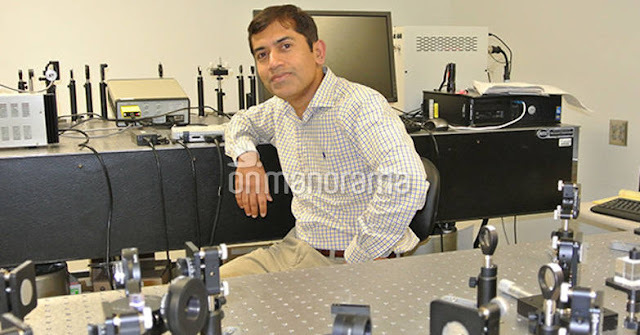 Thomas, who received the Career Award of the National Science Foundation and the Excellence in Research Award from the University of Central Florida last year, is the son of P C Thomas and Kunjamma of Vazhoor in Kottayam district, reported by Manorama Online.